What Bambu by Sprout Social Triggers and Actions are Supported? Story Activated - Triggers when a story is activated in Bambu. Create Source - Create a sourced story, for curatorial review. Create Story - Create a new Bambu story for immediate reading and sharing. 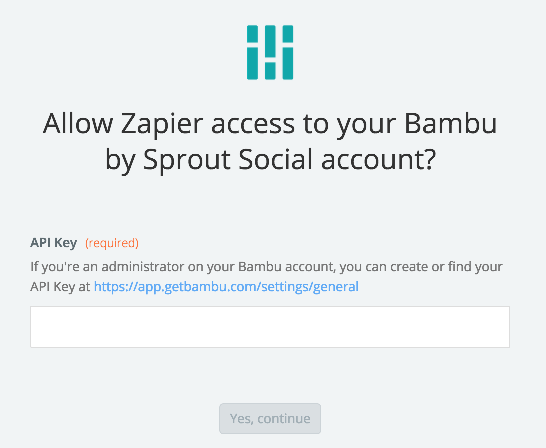 To get started with Bambu by Sprout Social on Zapier, first you will need to click to connect your Bambu by Sprout Social account to use with your Zap. Next, you'll be asked to enter your Bambu by Sprout Social's API key. Paste your key into your Zapier account and then “Continue”. 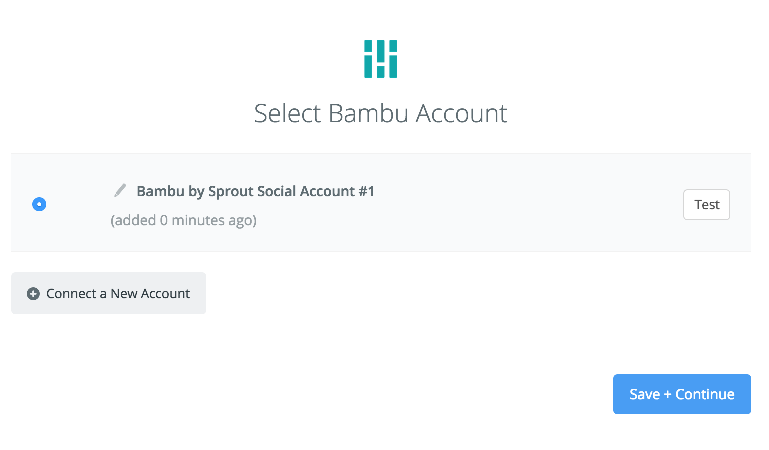 If your API was entered correctly your Bambu by Sprout Social account will now be successfully connected. When you use the "Create Story" Action, your story will start from the time your Zap runs and for the duration specified in your Zap template. If you want your story to start at a later date, you will want to add a delay step to your Zap before your Create Story action. You can read how to add a delay to your Zap here.